Rotation, X, Y, Z (2014) reveal uncanny movement in passing. The basic geometric objects they depict appear robust and two- dimensional only for as long as we keep still. Move and so will they. 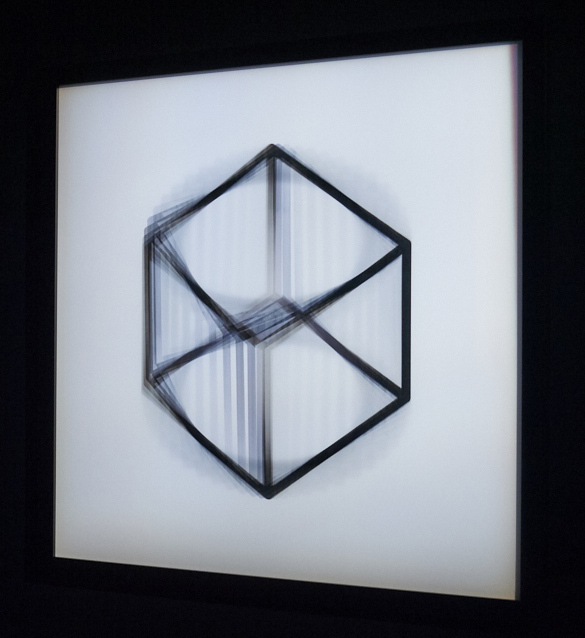 A wireframe cube spins and turns into a hexagon, a white polygon volume is awash in dancing light. As we watch objects cycle through different lucid states, our role has changed as well. Frame by frame, we’ve become aides, animating the display, every step of the way.